‘Food Forever' is more than just another story about the impact of over-exploitation of resources and climate change on the food chain. Dutch chef Lars Charas met with more than sixty scientists and chefs who accepted to share their knowledge and to look for solutions to the challenge of feeding 10 billion of people around the globe without damaging our planet. The book offers facts about current resources, ways to cope with a demand that is set to double within 50 years, new ideas about ingredients, and guidelines to enjoy healthy and sustainable food. Recipes with alternative ingredients, which are already offered at top restaurants, exemplify what tomorrow's nutritional habits could be. 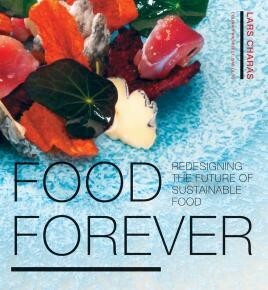 Stories about food and sustainability are seldom as practical, multi-cultural and solution-based as in this book.